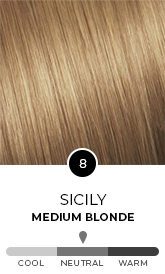 A nuanced multi-tonal colour, Lucca blends a warm Chocolate brown tone with a Medium Blonde base together with Red, mahogany and gold reflects together create a Medium Chocolate Blonde. 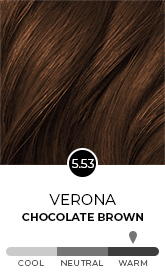 This is a true one tube wonder – with a lot of beautiful, harmonious layers of colour packed into one tube. 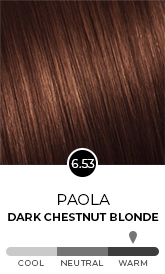 This is not the colour for you if you are looking to avoid reddish tones in your hair.